Why is is so important to find out if La Paz is a extended pitstop or not? We know they go to NZ next so whats the point? Maybe you all can take this to the timeline, or the EP3 thread. So if Kiwi stomping is a Detour then DAndrew switched tasks? Maybe watching Starr almost break her arm convinced them to stomp kiwis! An alternative would be a U-turn in this episode causing the Frat boys to do the other Detour too (I think this is unlikely). I have at Kiwi360 formerly known as Kiwi Country. I loved stomping the Kiwifruit and putting the juices into the jar! The question is not whether kiwi stomping is done in the artificial environment of Kiwi360. It is whether kiwi fruit juice is routinely available in grocery stores all over new Zealand. Is it? It sure wasn't long ago when I had my only visit to New Zealand. I am with puddin on this subject- "If the kiwi stomping task is true, then it's a "made for TAR' thing... how lame." unless you can tell me that grocery stores routinely carry kiwi juice products. I look forward to your answer. I disagree. We know based on the Intro cap that they go to Kiwi360. If kiwi stomping is a routine option there, which it must be if our kiwi has done it there, then it is not a "made for TAR" option, right? Starr & Nick are sneaky, she could have faked she was hurt to make DAndrew switch tasks. Thats something Romber would do and I compare the siblings to them, lol. Does the RB or Detour come first puddin? or do we not know? There are a number of smaller juice producers who routinely sell Kiwifruit juice in local supermarkets (grocery stores), cafes, restaurants and so on around New Zealand. They are usually blended with other fruits rather than being sold on its own - i.e. with cheaper juices like apple. Obviously it is processed in clean factories, rather than by using the "stomping" method. Enzafoods (http://www.enzafoods.co.nz/products/Other/Kiwifruit/) is one local producer which exports a lot of juice products offshore, predominantly to Asia. Are we sure that "stomping" is even a Detour? •Q: You're also going back to your birthplace, New Zealand, the adventure capital of the world, for the third time. What new thrills can we expect to see? •A: New Zealanders are very proud of their indigenous Maori culture, and we were looking to get something of that in the show. We ended up having the teams search for Maori warriors on an extinct volcano (near Auckland), and it was the most magical morning when they arrived: As the sun was rising, there were these warriors doing the haka (a traditional war dance) with a magnificent rainbow over the top of the hill. That could be it .. But I say it's a detour because the way Andrew and Dan are complaining about it it makes it sound as though they have another option that they would rather be doing...which could explain why the end up switching? Oh, ok then I'll say the RB is first. No, no we don't, lol. But this isn't TARA so I would guess its a detour but who knows? We had the random newspaper/hat thing last week so then again ?? so the FF is the skytower thingy? and momson do it. pinks go for the FF and miss it? 176 Parton Road, as mentioned by Apskip and others. Any idea how far the blokart track is from where they stomp kiwis (?kiwi360?)? It looks like DAndrew are putting together a blokart when Starr crashes. If the kiwi stomp is next door, maybe they bail pretty quickly. FF is Skytower but unknown if it is a walk or bungy or whatever. Where did we hear Mom /son as FF'ers please?? As far as I remember, the only evidence we have of anyone doing it is the number one on the board missing, and it is unclear if that related to the actual in progress task, or the production guys fooling around at some other time beforehand. I believe it was "missing the bus or something" similar...so bus may not be exact, IIRC. I'll recheck tonight when I get home. Re blokart, slowhatch gave us a map and it is VERY close to kiwi360 I think. About 15 minutes away from the map that I searched gator. and Patlini, the mom/son taking the Fast Forward is my guess but I like your thoughts. eta: if Papamoa is the pitstop its right there, by the Detours so yeah perhaps Roadblock then Detours. I'm on my laptop Michael and all my good junk is on the desktop, I'll try to do a better map later although I am not a map person so if someone wants a go at it please do. I asked my parents who have lived in Tauranga for a combined amount of 77 yrs. 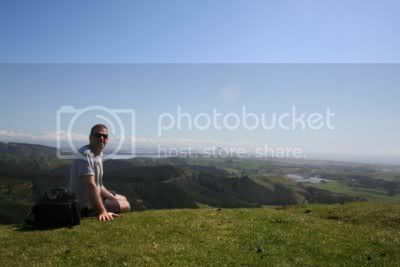 They have told me that they believe the photo of Phil and his father are indeed atop the Papamoa hills! Is that the same ? I can center the map on the part west and north from Tauranga but that is not the way it comes(although the resolution is good the way it comes). You have to manually take the control up about 6 times until you are have Hamilton on your view. Then you pan east once until Tauranga is on the right edge. Continue route 2 east until it turns southeast and then east all the way to Tauranga (and further to Te Puke). Both the GE map and the Interactive Map of the Bay of Plenty have distances, in case that helps. 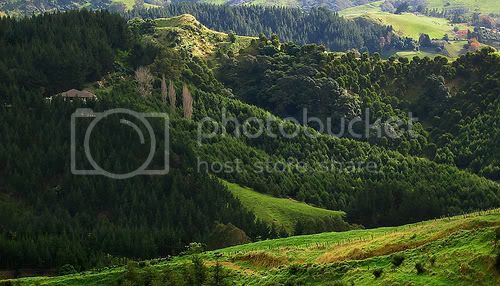 35 minutes North of Auckland City. So I believe that the Maori event may not be on a volcano near Auckland but is near Gulf Harbor.